I've recently cut back on how much sugar I eat, so to satisfy my sweet cravings, I turn to fruit. Bananas can be too heavy and oranges aren't filling enough, so I've been eating a lot of apples. 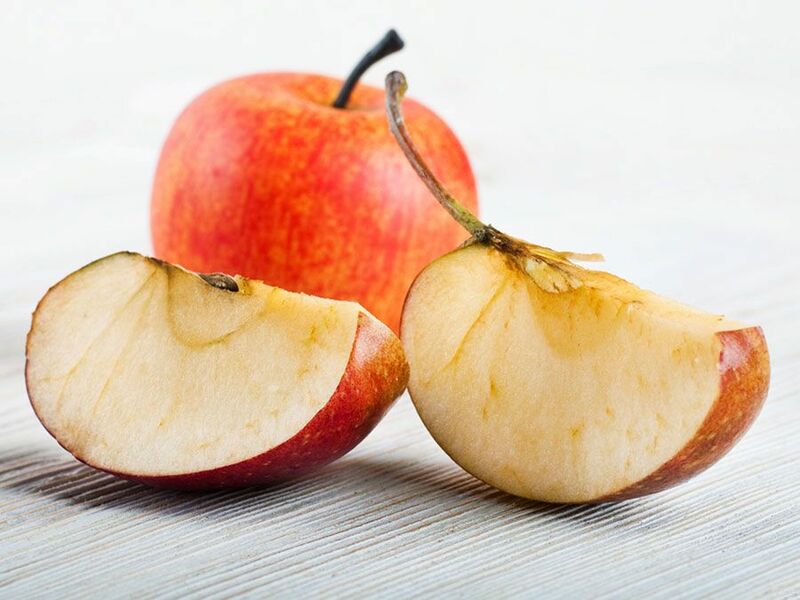 Personally, I like to slice up the fruit so it's easier to munch on while I'm at work, but by the time I get around to eating them, they have started to turn into a gross shade of brown. A lot of the time, apples that have browned are still safe to consume as the change in color is just a natural reaction to being exposed to air. 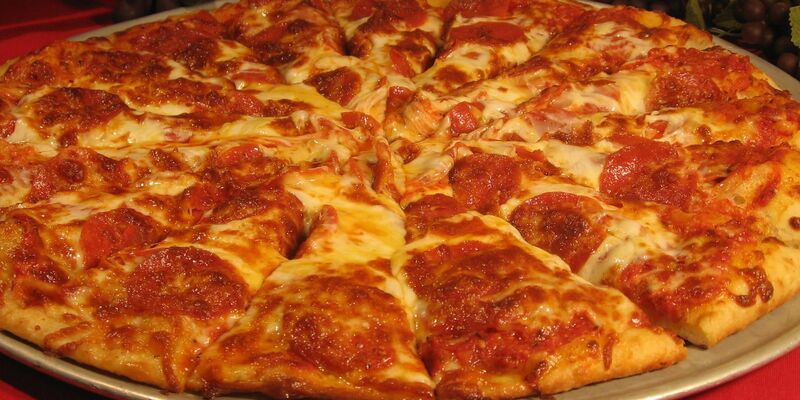 However, if you're like me, you have trouble eating the slices because they look unappetizing. Also, if they've been brown for a long time, the flavor and scent can start to be affected. 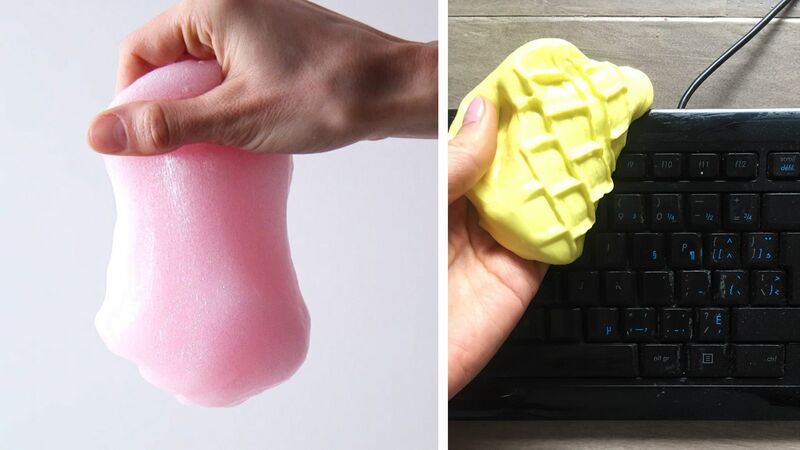 I've tried squeezing lemon juice on my apple slices, and even adding a little but of water into the ziploc bag, but these methods only work for a short amount of time. While browsing the web for a better solution, I stumbled upon a ridiculously easy method that uses ingredients most of us already have in our kitchens. 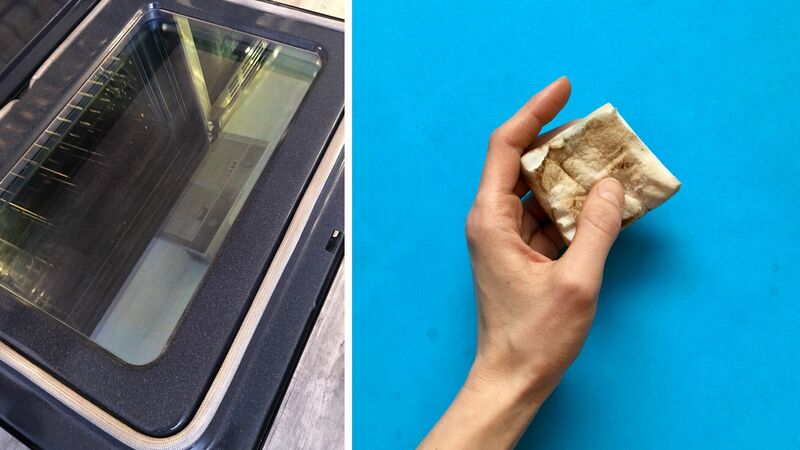 The trick claims to keep apple slices white for a couple of hours, so I was a little skeptical at first, but then I tried it myself and was really surprised at how well it worked. 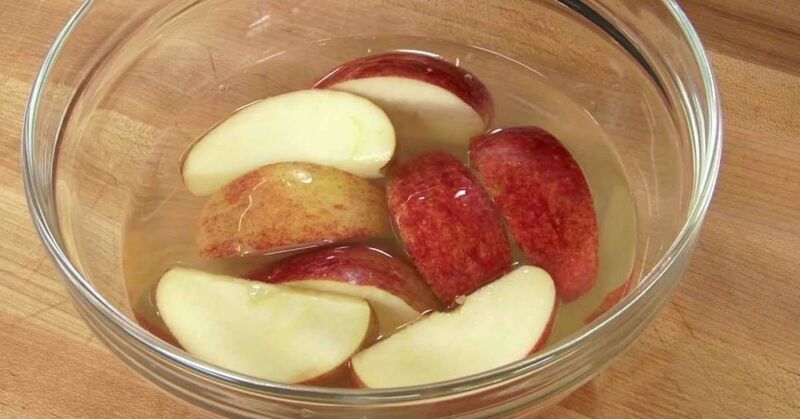 Place the apple slices in a bowl filled with cold water. 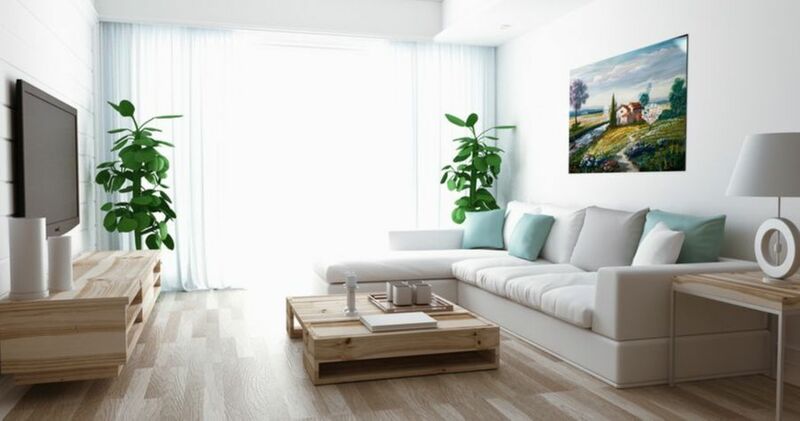 You'll need about 1/2 teaspoon of salt for every cup of water. Allow the slices to soak for five to 10 minutes then drain the water. 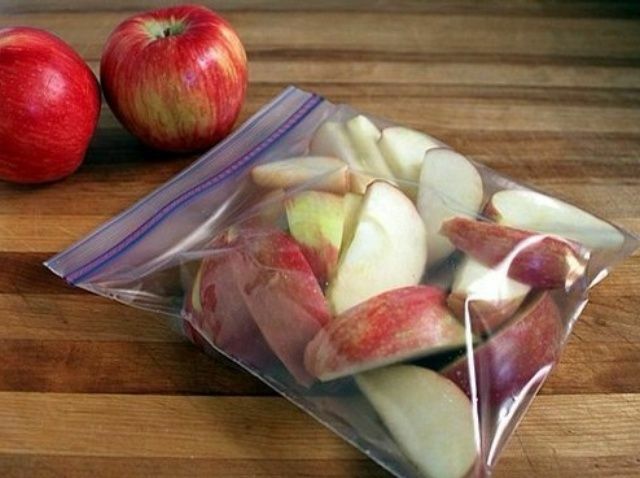 If you aren't eating the apples right away, store them in a ziploc bag or an airtight container. When you're ready to snack, rinse the slices with water to get rid of the saltiness, then enjoy. 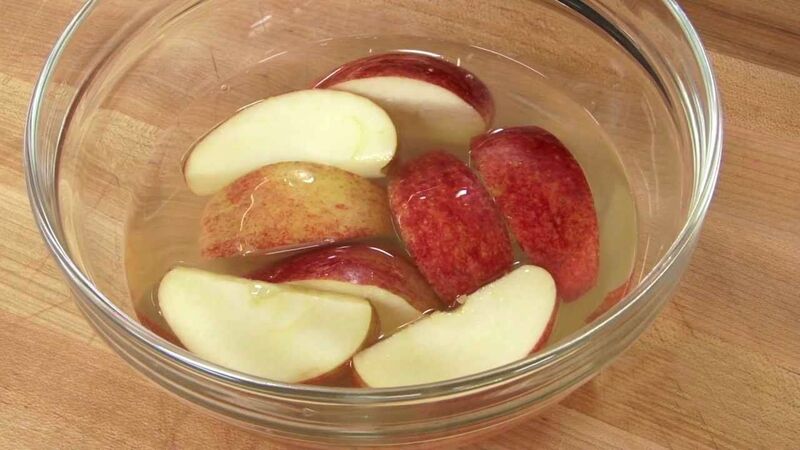 Even after you rinse them, the apples won't turn brown for a while. This process works so well because the saltwater blocks oxygen from getting to the fruit's surface, which halts oxidation. There are other methods Reader's Digest recommend in case saltwater isn't up your alley. Soaking the slices in lemon-lime soda, a mixture made up of 1/2 teaspoon of honey and water or one tablespoon of lemon and a cup of water will also do the trick. Just make sure to rinse them out before serving. 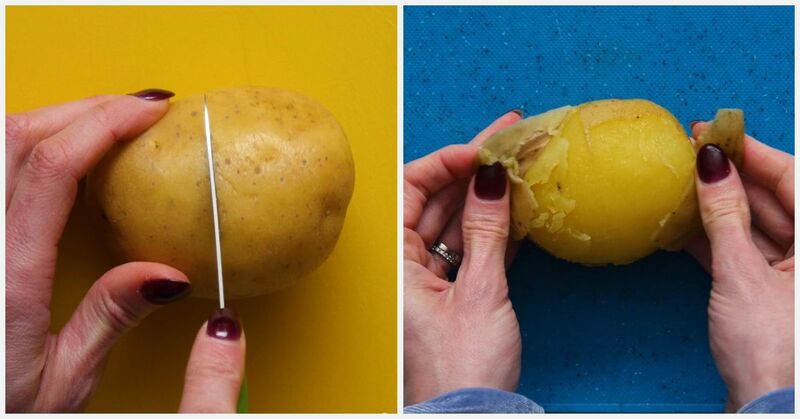 So next time you want to slice up some apples to snack on or add to your fruit platters, these hacks will make your experience much better. Do you have a trick that keeps apples stay fresh longer?